The American Prize is honored to announce WINNERS, runners-up, citation recipients and honorable mentions of the ERNST BACON MEMORIAL AWARD for the PERFORMANCE of AMERICAN MUSIC, 2017-18, in solo artist divisions. Congratulations! Mezzo soprano Ann Marie Wilcox-Daehn thrives on a performing career that includes oratorio, opera, art song, and musical theater. A frequent oratorio soloist, she has appeared at Carnegie Hall in the Mozart Requiem, Haydn’s Creation Mass, and Vivaldi’s Gloria. Of the over 35 roles to her credit, favorites include Carmen; Dorabella in Cosí fan Tutte; Isabella in The Italian Girl from Algiers; Angelina/Cinderella in La Cenerentola; Aldonza in Man of la Mancha; Petra in A Little Night Music; and she created the role of Rosemary for the world premiere of Libby Larsen’s jazz opera, Picnic. Ann Marie can be heard on the Albany Record label as Adah in Naughty Marietta, Bertha in The Red Mill, and singing “You’ll Never Walk Alone” on Gold & Silver: Celebrating 25 Years of Ohio Light Opera. She is passionate about the music of living composers and performs recitals regionally and around the world; most recently in Italy and China. Dr. Daehn hold degrees from Miami University (BME, Oxford), UNC-Greensboro (MM), and a doctorate in voice performance and literature from the Eastman School of Music. Dr. Wilcox-Daehn is currently an Assistant Professor of Voice and directs the award-winning opera program at Missouri State University. She is also an active member of NOA, NATS, AGMA, and Actor’s Equity and a frequent lecturer on the operas and song of living composers. This research also coincides with another interest; the life, teaching, and voice of legendary mezzo soprano, Jan DeGaetani, about whom she is writing a book. Pianist Elizabeth Avery is increasingly in demand as both vocal coach and collaborative artist, and has been heard in performances throughout the U.S., Canada and Europe. Dr. Avery currently serves on the opera faculty of the University of Oklahoma School of Music, coaching opera productions, teaching courses in lyric diction and coaching recital repertoire. An advocate of the music of living composers, Avery has given world premiere performances on stages such as New York City’s Steinway Hall and Weill Recital Hall, and has premiered Italian operas with the International Opera Theater in Umbria and Piemonte. 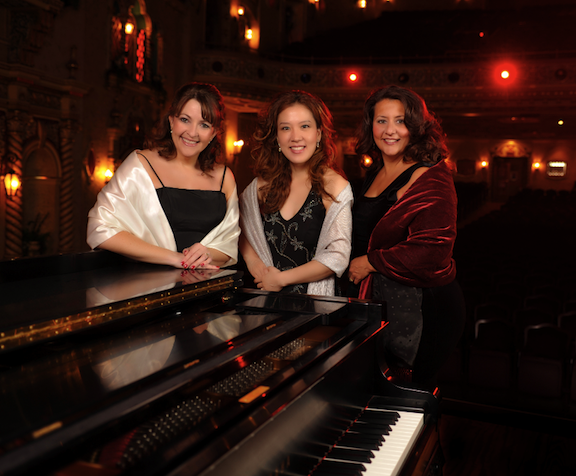 Other notable engagements have included the Eastman Opera Theater, Nashville Opera, and several summers as an official coach/pianist for the “Deutsch für Sänger” program at Middlebury College’s prestigious German Language School. During recent summers, Dr. Avery has become established as a faculty coach at the Up North Vocal Institute, a unique young artist program that focuses not only on training the voice, but the mind and body as well. Luke Cissell (b. Louisville, Kentucky) writes and records music in a distinctive style that is by turns arrestingly melodic, beguilingly layered, and eminently human, developed out of his roots as a young musician immersed in classical violin repertoire and the Appalachian mountain music of his native bluegrass. Cissell began playing music at a young age—he was a fiddling champion at the age of eight and performed Mozart’s third violin concerto on his first honors recital soon thereafter. His output includes five albums of original music, a chamber opera, a feature length film score, and assorted works for solo and mixed ensemble. He earned a degree in history from Princeton University before establishing himself as a professional musician and composer in New York City, cutting his teeth as a session musician for a wide variety of artists from Ingrid Michaelson to Philip Glass while performing at many of the city’s most revered cultural institutions including Carnegie Hall, CBGB, Radio City Music Hall, and Lincoln Center. Cissell is a 2016-17 Very Young Composers Teaching Artist with the New York Philharmonic. He produced a first recording of his recent String Quintet by performing each of the parts himself, carefully layering them one by one at the studio microphone. The music of Judith Lang Zaimont (b. 1945) is internationally acclaimed for its immediacy, dynamism and emotion and is performed world-wide. Her style is distinguished by its spirit of rhapsody featuring sudden shifts in texture, instrumental coloring, and atmosphere. Her 123 works include many prize-winning pieces covering every genre: Four symphonies, chamber opera, music for wind ensemble, for chorus and solo voice, and works for individual instruments plus a wide variety of chamber music. 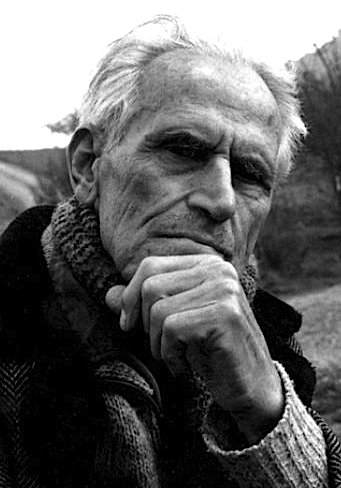 Zaimont’s music is widely performed throughout the U.S. and Europe: Philadelphia Orchestra, Baltimore and Mississippi symphonies, Berlin and Czech Radio symphonies, Slovak National Philharmonic and the Kremlin Chamber Orchestra. Two dozen CDs are currently available on Naxos, MSR Classics, Harmonia Mundi, Parma/Navona, Koch International Classics, Arkiv Music, Albany, Jeanné, Inc., and Leonarda. Recent all-Zaimont recordings include a 2010 CD of orchestra music (Kirk Trevor: Slovak National Philharmonic – Naxos. three world premieres), 2011 chamber music CD (Eternal Evolution. The Harlem Quartet and Awadagin Pratt – Navona. three world premieres ); 2012 piano solo CD (Christopher Atzinger – Naxos); a 2012 2-CD album surveying her solo piano music (Elizabeth Moak: MSR Classics - Fifteen works, including three world premieres); and 2016 CD featuring Janacek Philharmonic's performance of PURE, COOL (Water) - Symphony No. 4 . Her numerous prizes and honors include the 2015 The American Prize for Chamber Music Composition, a Guggenheim Foundation Fellowship, awards from both National Endowments (NEA: composition / NEH: scholarship), a 2005 Bush Foundation Fellowship and earlier American Pen Women Fellowship, IAWM, CBDNA, Maryland, and New York State arts fellowships, the Andrew G. Mellon Foundation (2007), and an Aaron Copland Award (2003). Noted for her “sensitivity” and “generous imagination” (La Suisse, Geneva, Switzerland), pianist Elizabeth Moak’s recent performances include Puerto Rico, Hawaii, and Québec. Winner of the Mu Phi Epsilon International Competition and several national competitions including the National Federation of Music Clubs Biennial Auditions, Elizabeth has performed extensively in the United States and Europe. As soloist, she has also appeared on national television, radio, and with orchestras including the Orchestre de Chambre de Neuchâtel, the Mississippi Symphony Orchestra, and the Gulf Coast Symphony Orchestra. In addition to honors for her solo playing, she has received awards for her collaborative work from the Music Academy of the West and Peabody Conservatory of Music of Johns Hopkins University (piano studies with Leon Fleisher, Ann Schein, and Julian Martin). Dr. Moak holds degrees from Peabody Conservatory and the Neuchâtel Conservatory ( Switzerland). 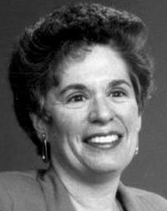 For eight years Elizabeth served on the faculty of Millsaps College, where she was honored with the “Outstanding Young Faculty Award.” In 2004, Elizabeth joined the faculty of The University of Southern Mississippi. William Popp began his studies on the piano at the age of six and on the accordion at the age of 11. He earned his bachelor's and master's degrees in performance from the University of Denver where he studied with Robert Davine. He earned his doctoral degree in composition from The Catholic University of America, in Washington, DC. His composition teachers include David Diamond (New York), Normand Lockwood (Denver), and Helmut Braunlich (Washington, DC). Many of his chamber ensemble and string orchestra works have been performed throughout the United States and Europe. For twenty years he was an arranger and composer with the United States Air Force Band in Washington, DC. More than 35 of his arrangements have been recorded by the USAF Strings and many more have been heard in numerous White House performances and around the world. 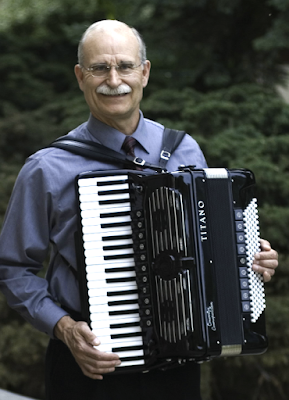 As an accordionist he has performed extensively with the USAF Strings throughout the United States, Europe, and Asia; and as a soloist in Beijing, China. He has also performed with Young Audiences, Inc., members of the National Symphony, and members of the Colorado Symphony. William Popp is now working independently as a composer, performer, and teacher in Northern Colorado. Peter Seivewright was born in Skipton, England, in 1954. He studied music at Oxford and spent three years as a post-graduate student at the Royal Northern College of Music, Manchester, studying piano with Ryszard Bakst. As a student he was a frequent soloist with RNCM Orchestras, receiving particular Press attention for his performance of Richard Rodney Bennett's Piano Concerto. 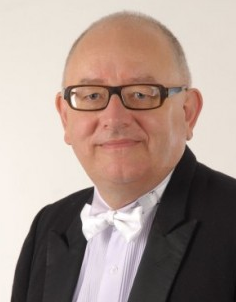 Peter Seivewright has appeared as Piano Concerto soloist with leading Orchestras and given recitals in major Festivals and concert venues throughout the United Kingdom, Ireland, Norway, Austria, Italy, Belgium, Denmark (eight recital tours), Latvia, Estonia, Vietnam, Kazakhstan, Australia (four recital tours), China, India, Kuwait, Trinidad and Tobago, the United States of America, Russia, and the Donetsk People's Republic. Orchestras he has appeared as Piano Concerto soloist with include the Hallé Orchestra, the Orchestra of Scottish Opera, the Scottish Baroque Soloists, Camerata Scotland, the Scottish Sinfonietta, the Beijing Symphony Orchestra, the Ho Chi Minh City Symphony Orchestra, the State Academic Symphony Orchestra of the Republic of Kazakhstan, and the S.S.Prokofiev State Academic Symphony Orchestra in Donetsk. In March 2017 the S.S.Prokofiev State Academic Symphony Orchestra awarded Peter Seivewright the Distinguished Artist Citation, the highest award the Orchestra can bestow. Peter Seivewright's CD discography is extensive, and includes the Complete Piano Music by Carl Nielsen (1865-1931) issued by Naxos, CDs for Merlin Classics and Rondo Records (Copenhagen), and numerous CDs issued by The Divine Art Recordings Group, for whom he now records exclusively. From 2008 to 2011 Peter Seivewright was the inaugural Professor of Music (Full Professor) at the Academy for the Performing Arts at the University of Trinidad and Tobago. He will spend the academic year 2017-2018 as Professor of Pianoforte Performance at the Phnom Penh International Institute of the Arts, in Phnom Penh, Cambodia. His home is near Glasgow, Scotland. Christopher Nichols joined the faculty of the University of Delaware as Assistant Professor of Clarinet in 2013 where he instructs undergraduate and graduate applied clarinet, clarinet ensemble, chamber music, pedagogy and literature, and annually hosts Delaware Clarinet Day. Dr. Nichols is a versatile clarinetist with performances as a soloist and in ensembles across the United States and abroad. He regularly performs with orchestras such as the Philharmonia of Greater Kansas City, the Pennsylvania Philharmonic, the Kennett Symphony and the Allentown Symphony Orchestra. He is a member of Christiana Winds and has recently collaborated with the acclaimed Serafin String Quartet, the Taggart-Grycky Duo, and members of the Philadelphia Orchestra and Baltimore Symphony Orchestra. He has served for over a decade in the Army Music Career program with performances throughout the United States, Germany, France and Austria. 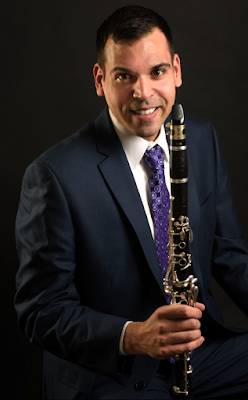 Dr. Nichols has appeared as a featured soloist at conferences of the International Clarinet Association, European Clarinet Association, and College Music Society. His live performances have been selected for inclusion in the Audio Performance Archive of College Music Symposium and broadcast on Kansas and Michigan Public Radio. In 2015, Dr. Nichols work as a solo recitalist was recognized with an Established Artist Fellowship from the Delaware Division of the Arts. As a Légère Reeds Endorsing Artist and a Buffet Artist Clinician, Dr. Nichols performs exclusively on Légère Signature Series reeds and Buffet clarinets. Additional information is available at his personal website www.christophernicholsclarinet.com. 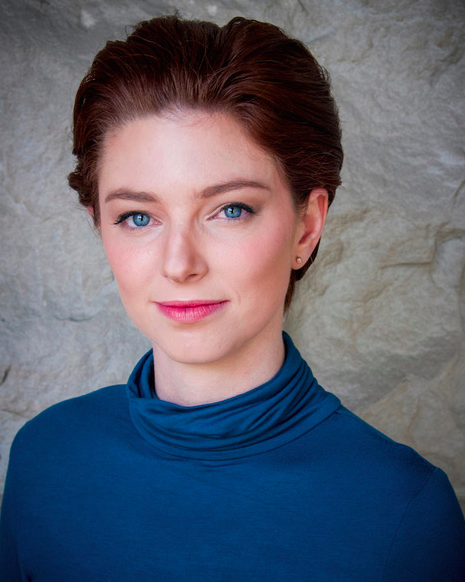 A singer “with polish and charm,” Corinne Rydman appeared as Donna Elvira (Don Giovanni) with the San Francisco Conservatory of Music in 2016 under Director of Opera, Jose Maria Condemi. Other roles include Nerone (L’incoronazione di Poppea), Dido (Dido and Aeneas), Lucilla (La scala di seta), and Haydn’s Volpino (Lo speziale). 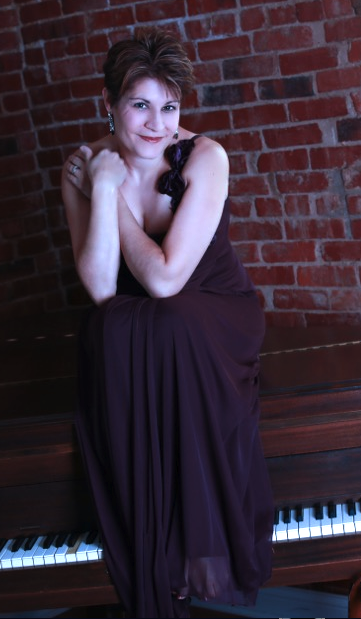 She was featured as a soloist by the Smithsonian Chamber Music Society in their 2015 symposium on historical performance and made her orchestral debut singing arrangements of Lutoslawski’s Twenty Polish Carols with Utah Chamber Artists. Through her devotion to social justice, Corinne fell in musical love with the forgotten African-American pioneer Florence Price, premiering some of her songs never before previously published. Corinne also performs musical theater such as the roles of Liliane La Fleur (Nine), Woman 2 (Closer Than Ever), Weathergirl (As Thousands Cheer), and Mrs. Prysselius (Pippi Longstocking). Her next projects are two productions with the Bay Area’s Opera Theater Unlimited — the 48-Hour Festival and a world-premiere composed by Joseph M. Colombo with libretto by Caitlin Mullan. 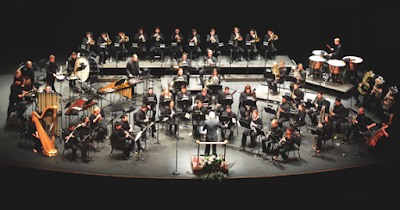 "Bordello Nights" features the UNLV Wind Orchestra under the direction of Thomas Leslie and jazz guest performers: Eric Marienthal, Colin Gordon, Mitch Forman, Kevin Axt, and Bernie Dresel. The UNLV Wind Orchestra has received international acclaim for its fresh and creative approach to music making. Performing contemporary repertoire in addition to classical masterworks, the Wind Orchestra at the University of Nevada, Las Vegas has been responsible for commissioning and premiering numerous significant new works by America’s finest young contemporary composers including: Eric Whitacre, Wendell Yuponce, Jonathon Newman, Steven Bryant, Jim Bonney, Corey Hirsch, Paul Seitz, Nathan Tanouye, Jennifer Bellor, Kenneth Froelich and Wataru Hokoyama. In addition, the Wind Orchestra has recently commissioned and premiered new compositions by landmark American contemporary composers: Bruce Broughton, Roger Nixon and James Barnes. Thomas G. Leslie, Director, UNLV Division of Wind Band Studies. As Director of the Division of Wind Band Studies and Professor of Conducting, Thomas Leslie has earned recognition for high quality performances of the UNLV Bands. During his tenure at UNLV, his bands have received critical acclaim from members of the international music world. Such notables include composers Malcolm Arnold, Bruce Broughton, Eric Whitacre and Frank Ticheli; United States Marine Band Conductor Emeritus Colonel John Bourgeois, (Ret. ); Colonel Lowell Graham, Conductor United States Air Force Band, (Ret. ); United States Navy Band Conductor Commander John Pastin (Ret. ); Dr. Harry Begian, Director Emeritus, University of Illinois; Grammy Award winning recording artists Eric Marienthal, Jimmy Haslip, Will Kennedy and Russell Ferrante. Recognized for a fresh, interpretative style among collegiate wind orchestras, Thomas Leslie and the UNLV Wind Orchestra continue to excel in their commitment to commission new works by the next generation of the world’s finest young composers. This ensemble, under Professor Leslie’s baton, has premiered numerous pieces commissioned by UNLV, Professor Leslie and the Wind Orchestra. Professor Leslie has conducted, and recorded twenty compact disc recordings with the UNLV Wind Orchestra. They are: 1994 – The UNLV Wind Symphony; Ghost Train; Gawd$illa Eats Las Vegas; It Takes a Village; Monkey; No Mo’ Chalumeau; Chunk (all title tracks commissioned by Thomas Leslie); BCM… Saves the World; Bandanna, the complete Daron Hagen opera; 3 Steps Forward, the premiere disc in the new UNLV Wind Orchestra Series for Klavier Recordings; Spiritual Planet; 4 Flew Over the Hornet’s Nest; The Quest; Vegas Maximus; Concerto for Marienthal; Marquee Mojo; Lost Vegas; Ventanas; The Return; and 24K Gould, the newest release in the collection. All of these recordings have received noteworthy acclaim in professional journals in addition to high praise from colleagues throughout the world. Jennifer Bellor is a versatile composer whose works have been presented by Washington National Opera at the Kennedy Center, American Composers Orchestra, Seattle Women’s Jazz Orchestra (SWOJO), Las Vegas Philharmonic, Lviv Philharmonic, ShoutHouse, Florida State University Festival of New Music, Hildegard Festival, Eastman New Jazz Ensemble, Eastman Saxophone project, UNLV Wind Orchestra, Elevate Ensemble, Hocket, Kansas Virtuosi, Mivos Quartet, and many others in the US and abroad. 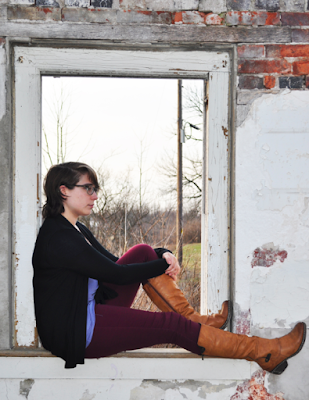 Bellor’s music draws on a variety of influences, evidenced in her self-released debut album Stay (2016), which was featured on NewMusicBox’s 2016 Staff picks, and praised as having the ability to “maintain a highly individual identity without needing to take refuge in pre-post-genre musical silos.” Bellor also has received awards for her jazz/cross genre compositions Midnight Swim (DownBeat), Noir (SWOJO), and Chase the Stars (2016 The American Prize in the orchestral category). 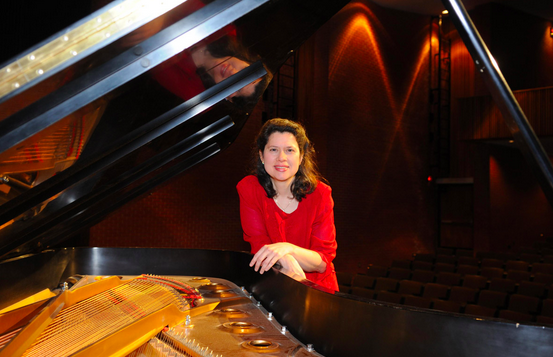 Bellor holds a PhD in music composition at Eastman School of Music, a Master of Music degree in composition at Syracuse University, and a Bachelor of Arts degree in music at Cornell University. 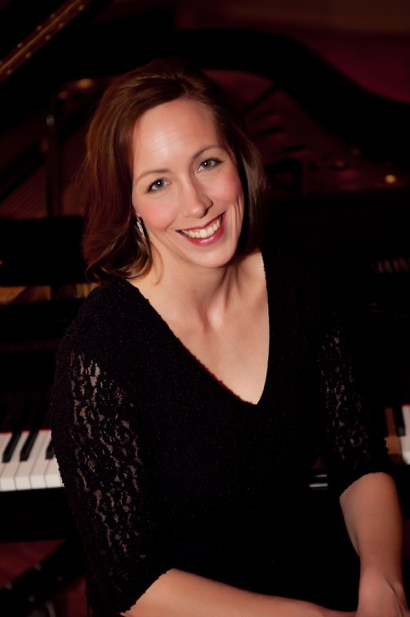 She is Visiting Lecturer in composition and theory at the University of Nevada, Las Vegas, and artistic director of the new music series Nextet. Currently, she is the Composer-in-Residence for the percussion quartet, Clocks in Motion, and is working on her first of four quartets that will be completed over the three-year residency. Her music can be found on iTunes, Spotify, SoundCloud, YouTube, and her website, www.jenniferbellor.com. Natalie is an American composer and vocalist from Harleysville, Pennsylvania. Her music has been performed by wild Up as part of the LA Philharmonic’s National Composers Intensive, at the So Percussion Summer Institute, the 21st Annual Young Composers Meeting (Apeldoorn, the Netherlands), Spectrum, on Q2 music, the highSCORE Festival (Pavia, Italy), and most recently as a fellow at the Bang on a Can Summer Institute. She is the recipient of the 2016 Leo Kaplan prize of the Morton Gould Young Composer Awards, and has been a finalist for the Minnesota Composer Orchestra and New York Youth Symphony First Music Awards, and awards from BMI, ASCAP, and The American Prize, as well as a nominee for the Academy of Arts and Letters. She has recently been commissioned by flute/cello duo Martha Cargo and Ben Larsen, Echo Chamber, and the Shanghai Symphony. Natalie is a graduate of the Yale School of Music, with both an M.M. and M.M.A. in composition. She holds a dual degree in composition and violin performance from West Chester University, where she ran the NOW Music Society new music concert series, coordinated Danza Symbiotica (a composer/choreographer collaboration), and was a member of the West Chester Laptop Ensemble. Her previous composition teachers include David Lang, Chris Theofanidis, Martin Bresnick, Robert Maggio, Larry Nelson, Mark Rimple, Adam Silverman, and Van Stiefel. Vaibhav Mohanty (b. 1998) is a composer, arranger, and pianist from Charleston, South Carolina currently studying at Harvard University. His compositions span classical, world, and jazz domains and are performed across the United States and internationally. Vaibhav’s works have have received many awards and accolades, including the Grand Prize from the Sul Ross State University Wind Ensemble Composition Competition, an international contest, and second place in The American Prize for Concert Band Composition. 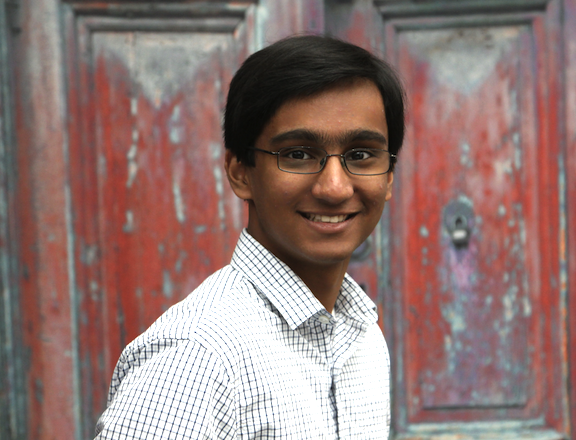 In 2014, Vaibhav was named a winner of the National Association for Music Education (NAfME) Student Composers Competition, meriting his piece a performance at the Grand Ole Opry House in Nashville, Tennessee by the NAfME All-National Honor Band. In the 2015 National YoungArts Foundation competition, he was named a Finalist, an award given only to the top two composers that year. Vaibhav is also a four-time awardee in the National Parent Teachers Association Reflections Contest, a finalist in the Music Teachers National Association Composition Competition, and honorable mention recipient from the Morton Gould Young Composer Awards. 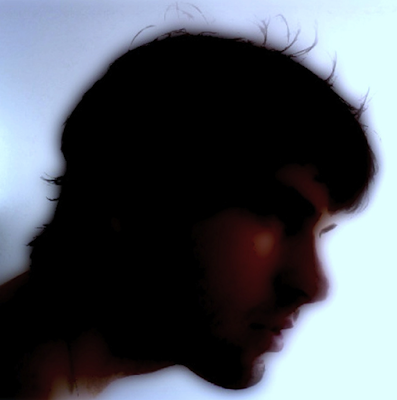 Vaibhav has been a member of the American Society of Composers, Authors, and Publishers (ASCAP) since 2013 and the Society of Composers, Inc. (SCI) since 2014. His works are published by JPM Music Publications (Missouri) and Lighthouse Music Publications (Ontario, Canada). In the past, Vaibhav has taught music at the Charleston County School District summer arts program and at a private music studio in Charleston. He is currently Co-President of the Harvard Composers Association. Jake Tilton is a saxophonist/clarinetist, teacher, and composer from Connecticut, currently in the class of 2019 at Harvard College. Jake has studied with a wide variety of teachers for saxophone and composition, and currently studies saxophone with Ken Radnofsky. Jake has been active in many Harvard groups, including a saxophone quartet, Wind Ensemble, Hasty Pudding Band, and Monday Jazz Band (led by Yosvany Terry). Jake has been featured in masterclasses and onstage at Harvard with Esperanza Spalding, Rufus Reid, George Cables, Dena DeRose, Tia Fuller, Noah Preminger, and Cassandra Wilson. 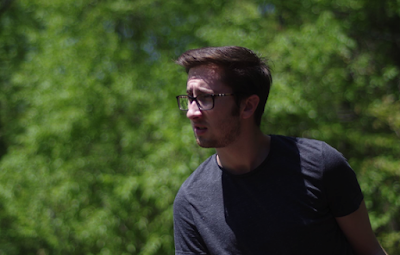 Jake is also active as a composer/arranger, orchestrating the Harvard Freshman Musical and composing for the Harvard-Radcliffe Dramatic Club’s production of Peer Gynt. Jake also gave the Boston-area premiere of John Adams’s Saxophone Concerto in February 2017 with the HRO, as the youngest saxophonist to play this piece with orchestra. This performance was described as "...awe-inspiring in musicality and endurance" by The Harvard Crimson. He also recently performed John Williams’s “Escapades” with the Harvard Pops Orchestra. Before Harvard, Jake was lead alto sax in the Canton High School Jazz Ensemble, which opened for the United States Air Force Academy Falconaires, Ernie Watts, Dave Samuels, Eddie Palmieri, and the West Point Jazz Knights. He also performed with the Army Field Band Jazz Ambassadors, and has substantial experience performing in pit ensembles. He also performed in state and national-level ensembles, including the 2014 NAfME All-National Honor Concert Band.